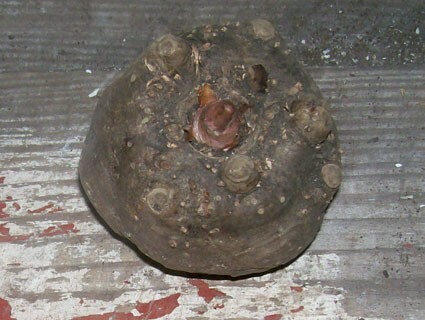 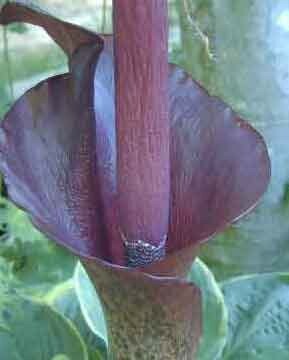 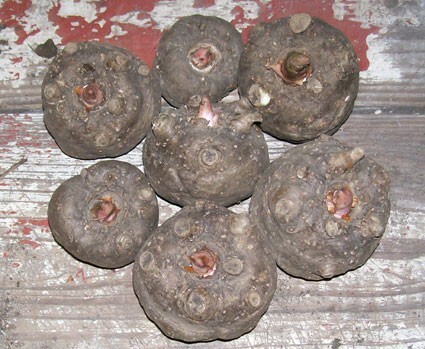 "Voo Doo Bulb" or "Umbrella Arum" from SE Asia. 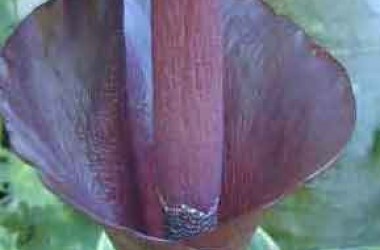 Fingered, whorl-crescent lf over purple-spotted petiole (the hollow stalk); fetid liver-purple spathe; edible corms (preparation, however, remains obscure in the literature). 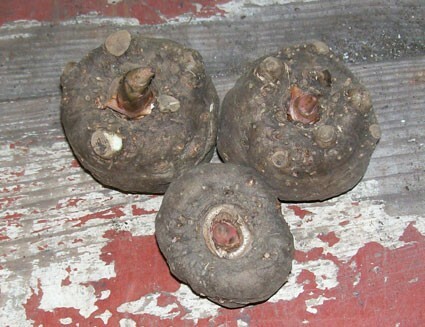 Also known as "Devil's Tongue" or "Leopard Palm," this is winter hardy for us here in Z6 in a very protected location in the garden which has perfect drainage to avoid winter rot and a frost line never reaching more than an inch or so; however, the foliage seldom emerges before June as the soil needs to warm considerably in order to initiate the budding. 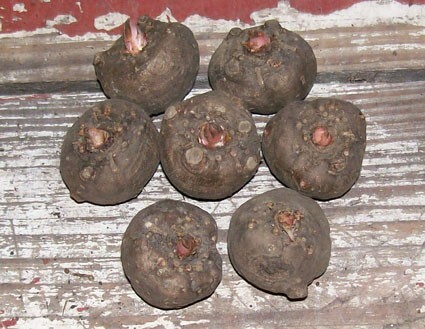 We recommend container culture or winter tuber storage techniques in areas north of the subtropics for real success.